How can I verify the size of the manager.log …? Will see again tomorrow and will update you. The biggest number is the size of the log file (39315 in this example), if you repeat the command after a few minutes the number should have increased. 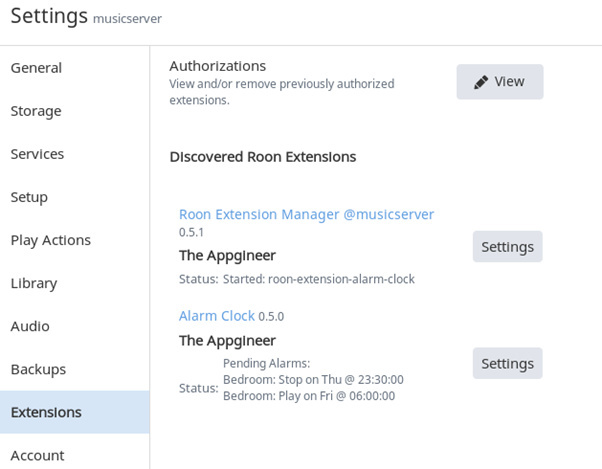 The extension manager survived last night and still loaded today… So it may be working. 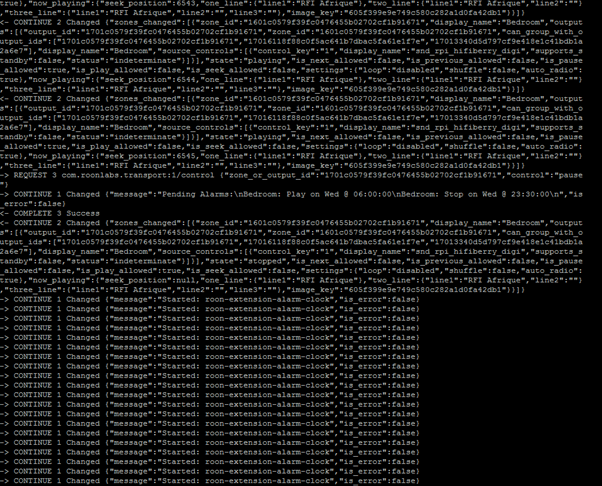 I expect that the log file got lost during the update run over night, I forgot about that. If the extensions are still running you can keep them running but in this case there will be no log to analyze in case of failure. Any way to help further, please? 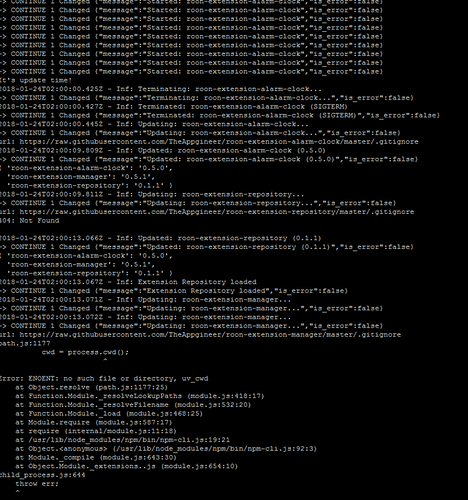 Can you upload the manager.log file to somewhere online (e.g. dropbox) and send me a link? You can zip it to reduce size. The log stops at 2:00, this is the default time for the auto update. As a workaround I suggest that you disable auto update and see if it keeps running that way. You do this by clearing the ‘Check for updates’ field in the Extension Manager settings. Will monitor the extension in coming days and will update you accordingly. OK, we are getting closer. The log file can help to further pinpoint the issue. Do you only have command line access to your Debian system? Accessing the log file might be easier from a graphical desktop environment. The interesting part is at the end of the file, try to provide as many lines as possible by creating a screen capture as you did previously. Thanks, the error information is in. The issue is with the self update of the Extension Manager, for which it is known that it doesn’t work on all platforms. The service approach uses a different update mechanism and this might also be the solution for you. 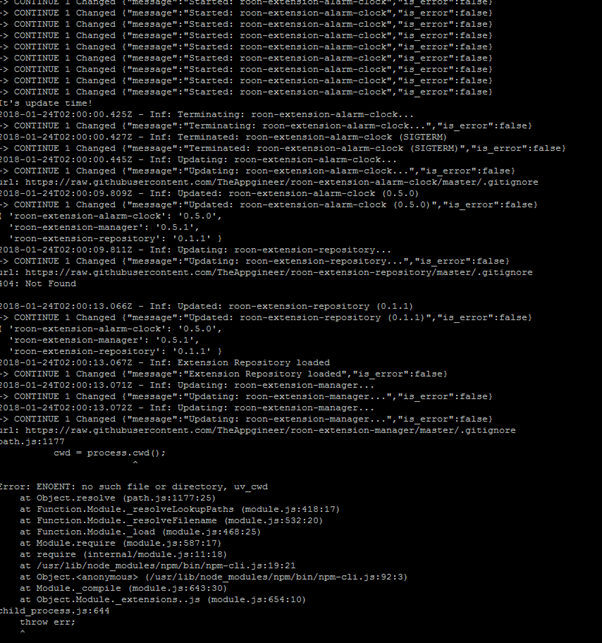 I have created a basic Linux install script to setup the service but I still have to create some documentation for it. When this is available I will let you know. Indeed, you can update all the other extensions manually using the Settings dialog. But great work… I can now sleep with my classic music and be assured that Roon will stop . Any way to change the volume settings at the start of the service? 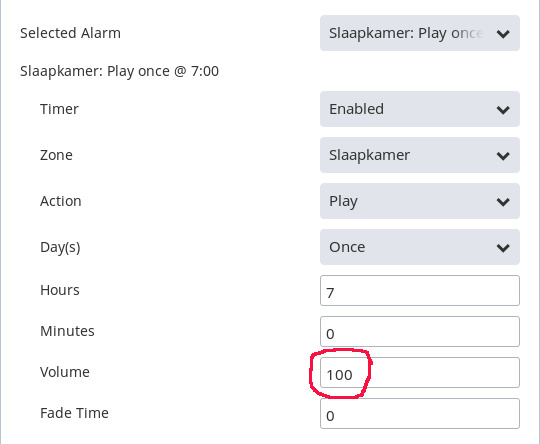 Have you set the wake volume for the alarm? Thanks a lot my Friend and sorry to bother you once again.